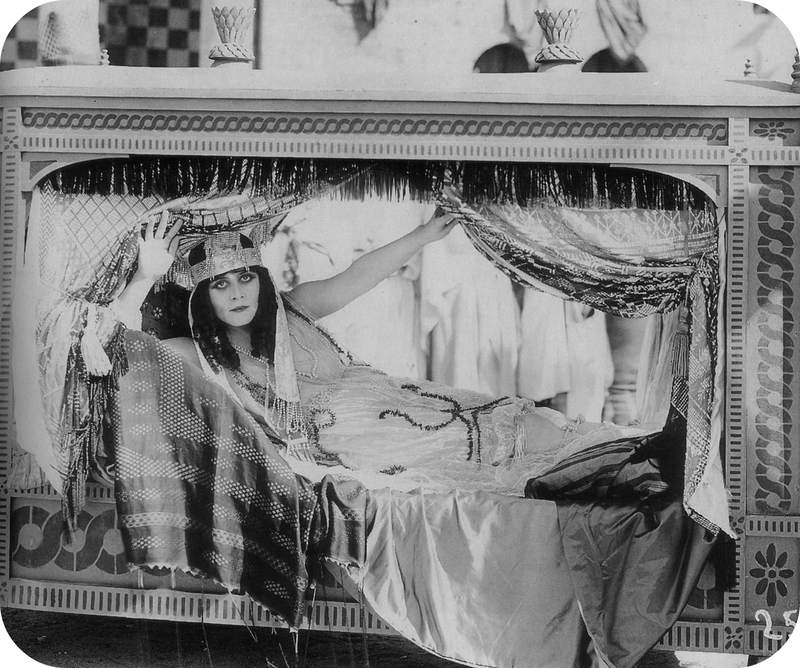 Salomé is a 1918 American silent drama film produced by William Fox and starring actress Theda Bara. This film is now considered to be a lost film. 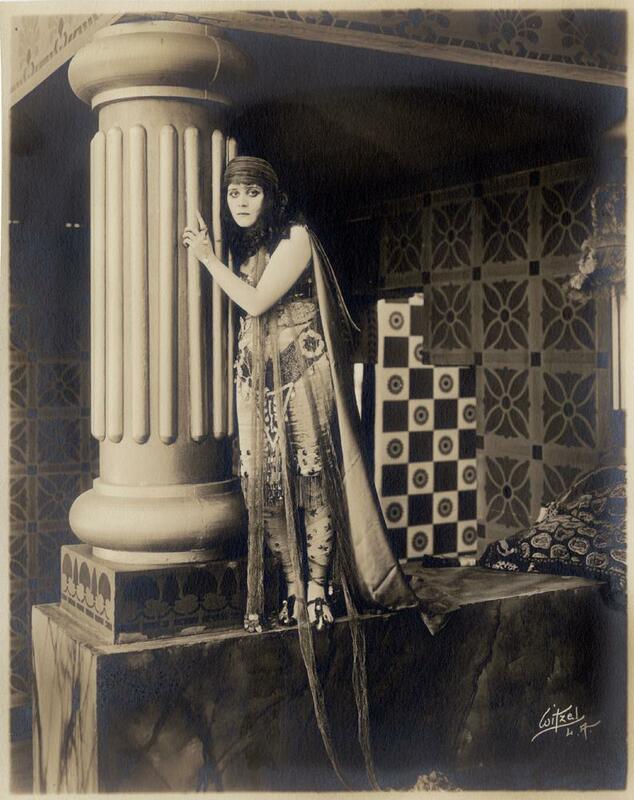 – Salome uses her wiles in pursuit of King Herod, whose power she desires. 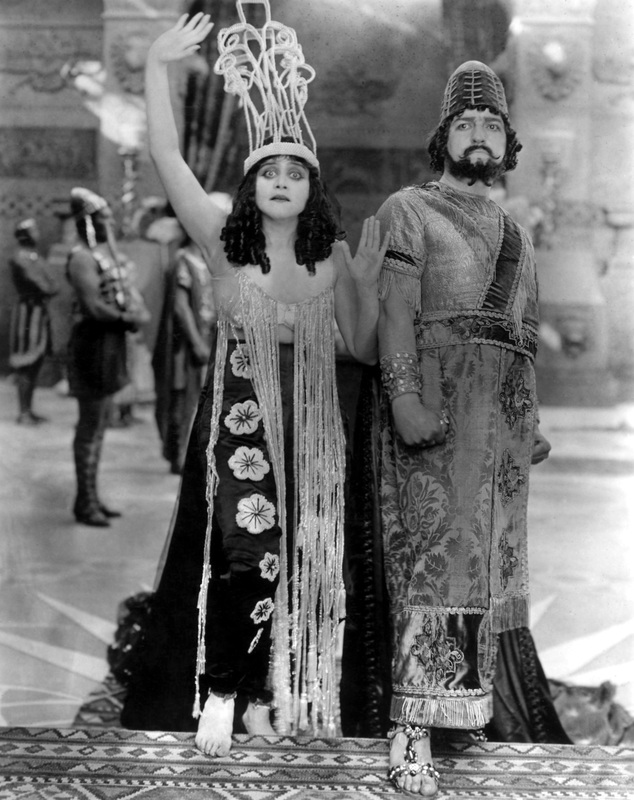 She has disposed of Herod’s chief rival, and causes his wife to be killed through her own treachery. John the Baptist, who has secured a hold on the people, denounces Herod and his court. Herod has John thrown in jail for fomenting sedition. 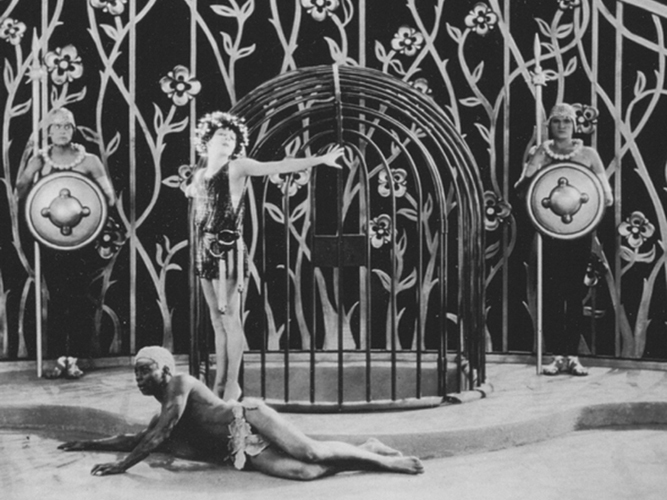 There Salome meets him, and becomes crazed with passion, but when John rejects her she seeks revenge. 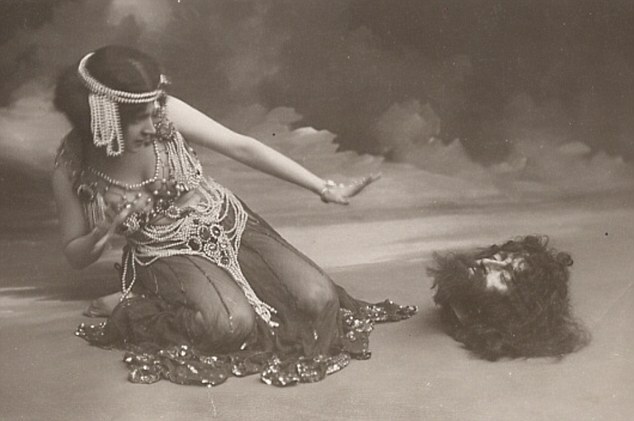 With a sensuous dance she gains the approval of Herod, and demands John’s head as her reward. This act brings her own punishment when she is crushed to death beneath the sharp spokes on the shields of the Roman legionnaires. 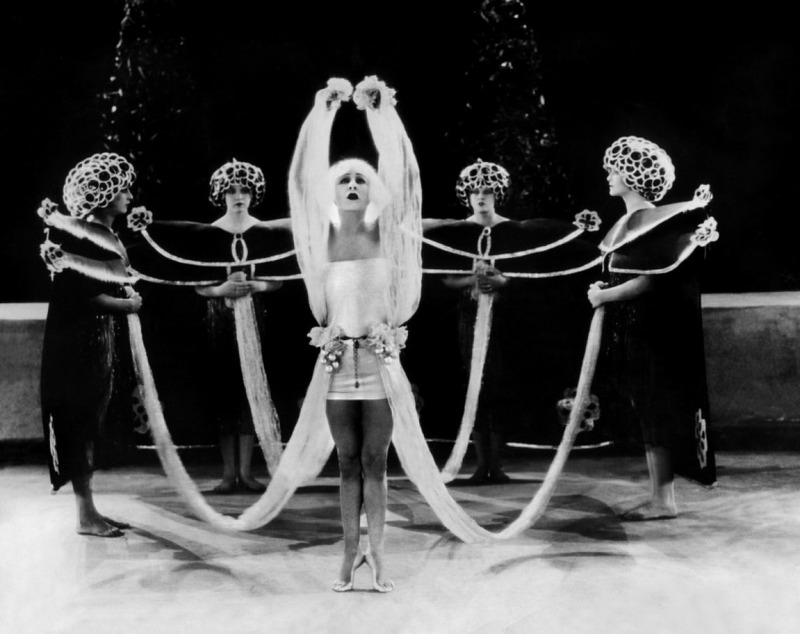 Although the film proved to be popular with some theaters charging extra for tickets to see it, Salomé also proved to be controversial. For example, St. Louis, Missouri churches of varying denominations organized to protest the showing of the film. They objected not only to Bara’s attire, but also to the divergence of the plot from Biblical text, such as scenes where John the Baptist was preaching in Jerusalem and where Salome declares her love to John, and to the youthful appearance of John. 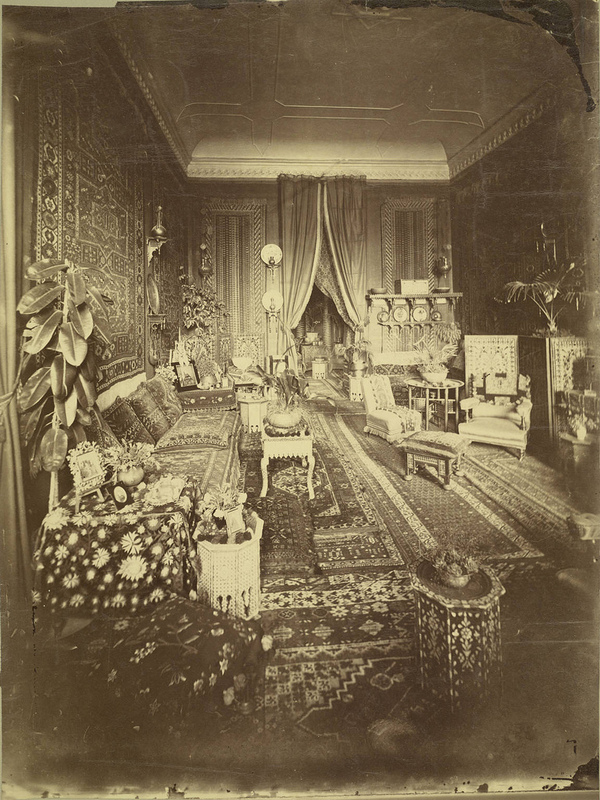 Objections were also made that children were attending showings of the film. 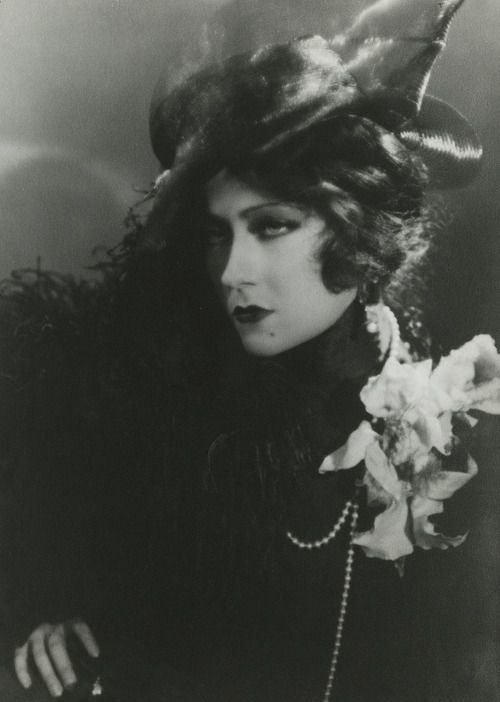 Salomé (1923), was directed by Charles Bryant and starred russian silent-movie queen Alla Nazimova – the film is an adaptation of the Oscar Wilde play of the same name. 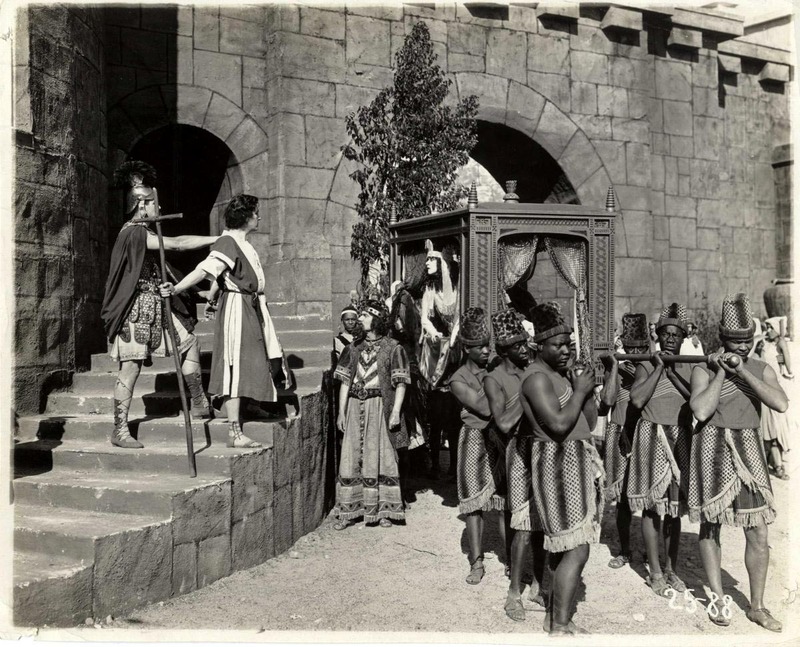 The play itself is a loose retelling of the biblical story of King Herod and his execution of John the Baptist (here, as in Wilde’s play, called Jokaanan) at the request of his stepdaughter, Salomé, whom he lusts after. 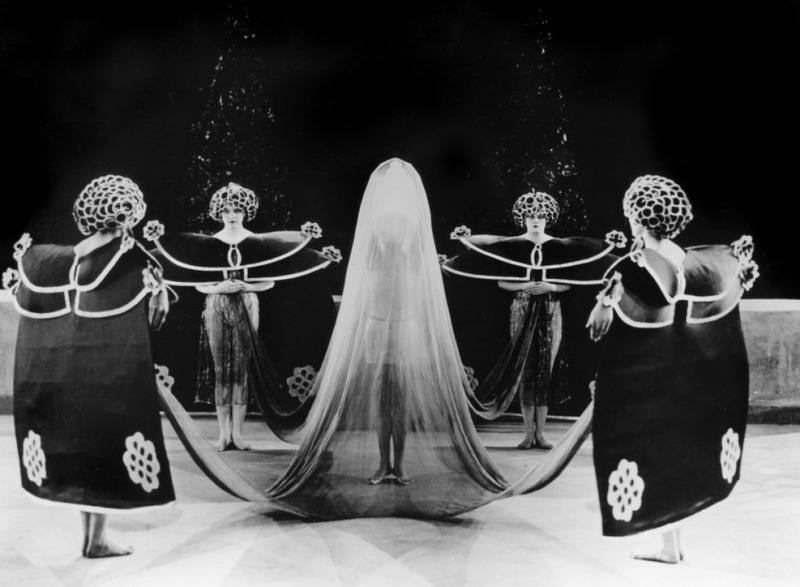 Salomé is often called one of the first art films to be made in the U.S. 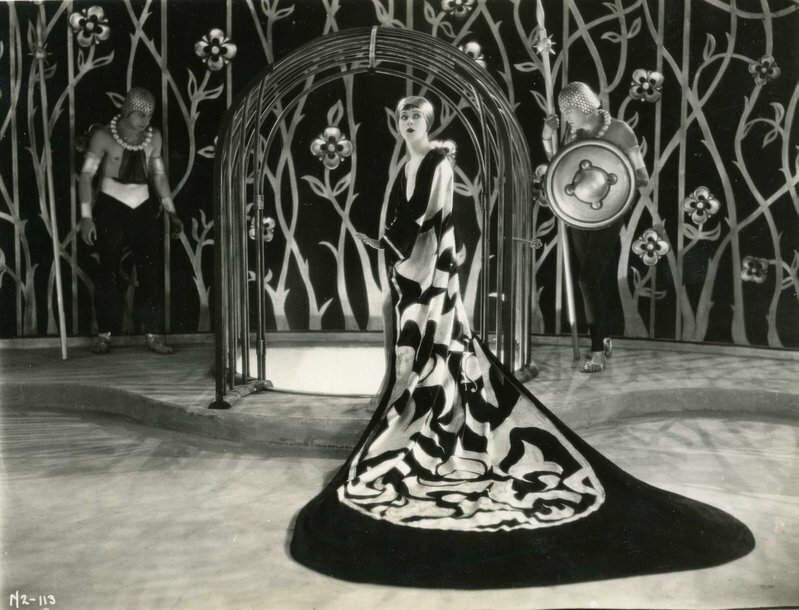 The highly stylized costumes, exaggerated acting (even for the period), minimal sets, and absence of all but the most necessary props make for a screen image much more focused on atmosphere and on conveying a sense of the characters’ individual heightened desires than on conventional plot development. 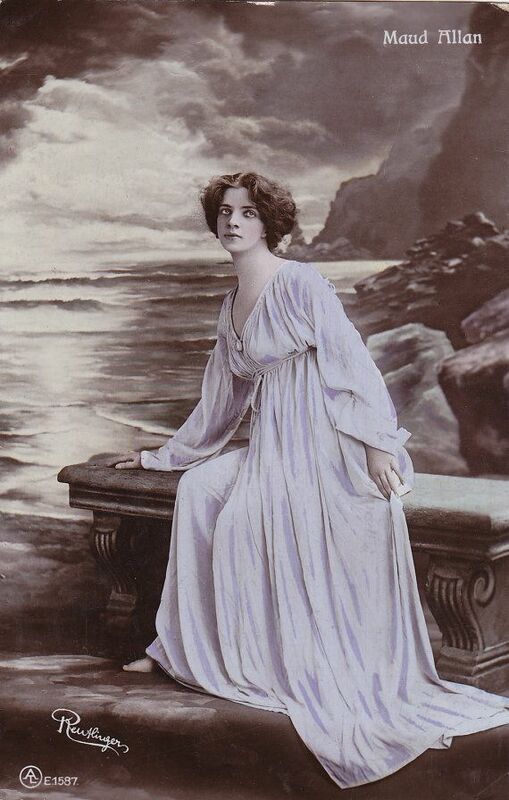 Canadian pianist-turned-actor, dancer and choreographer Maud Allan (1873 – 1956) was born as Beulah Maude Durrant. 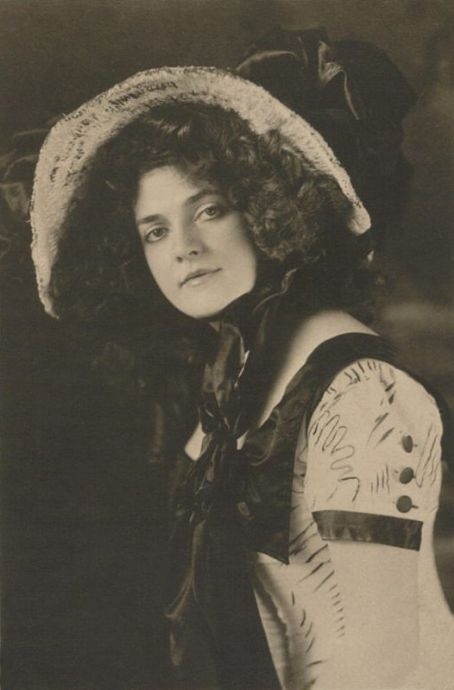 She spent her early years in San Francisco, California, moving to Germany in 1895 to study piano at the Hochschule für Musik in Berlin. She changed her name in part by the scandal surrounding her brother Theodore Durrant, who was hanged in 1898 for murder. Allan never recuperated from the trauma of this event. 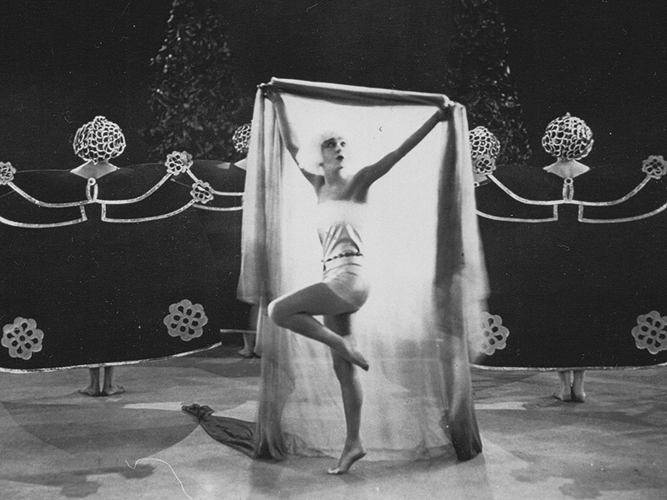 She abandoned piano-playing and developed a new means of self-expression through dance. Shortly before she began dancing professionally Allan is said to have illustrated an encyclopedia for women titled Illustriertes Konversations-Lexikon der Frau. 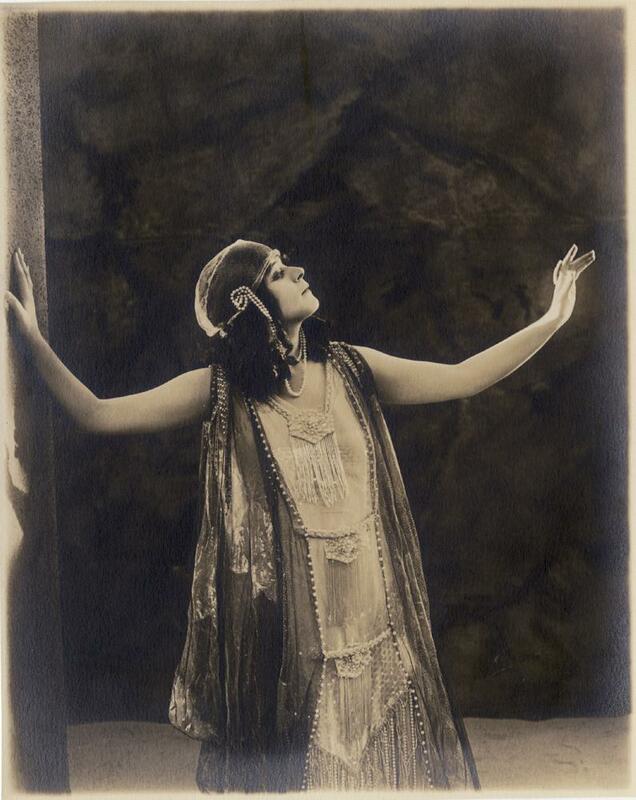 In 1906 her production “Vision of Salomé” opened in Vienna. 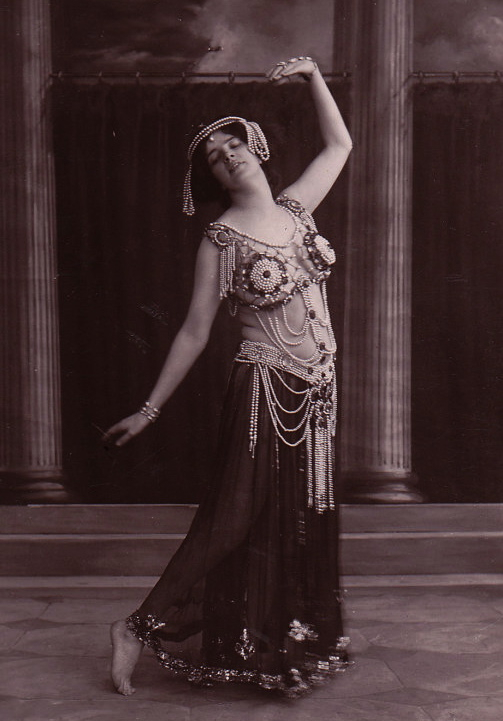 Based loosely on Oscar Wilde’s play ,Salomé, her version of the Dance of the Seven Veils became famous (and to some notorious) and she was billed as “The Salomé Dancer”. 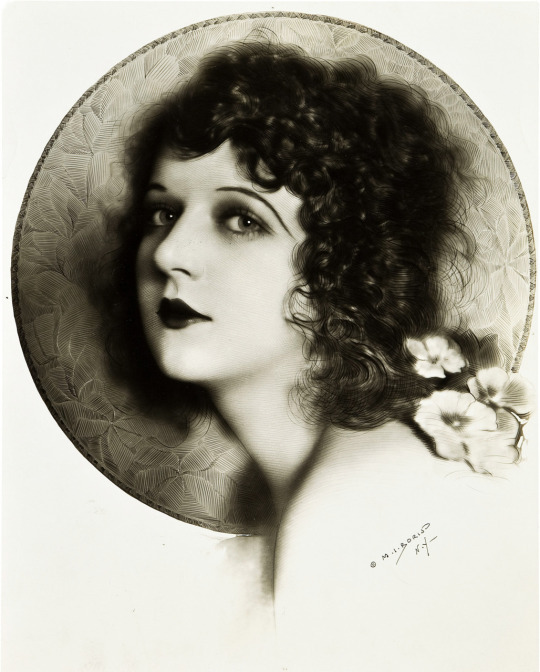 Her book My Life and Dancing was published in 1908 and that year she took England by storm in a tour in which she did 250 performances in less than one year. 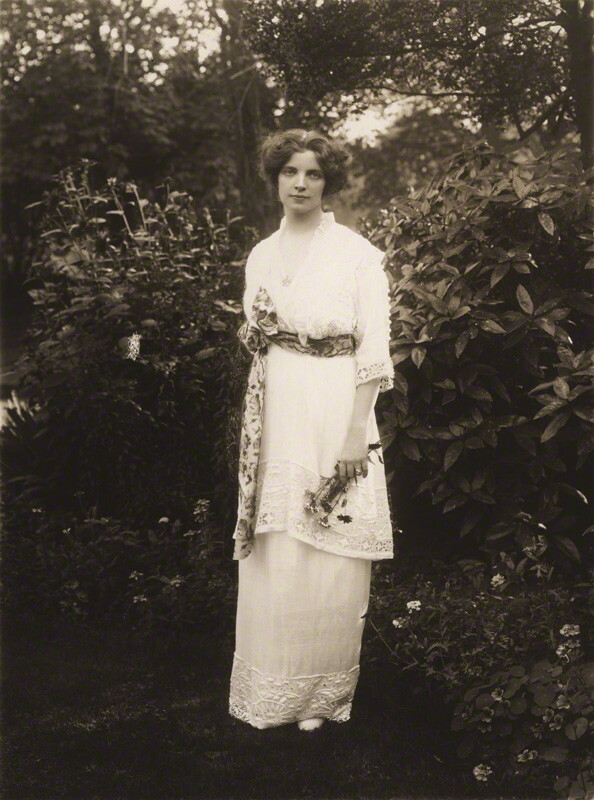 Allan is remembered for her “famously impressionistic mood settings”. She was athletic, had great imagination and even designed and sewed her own costumes. But she had little formal dance training. 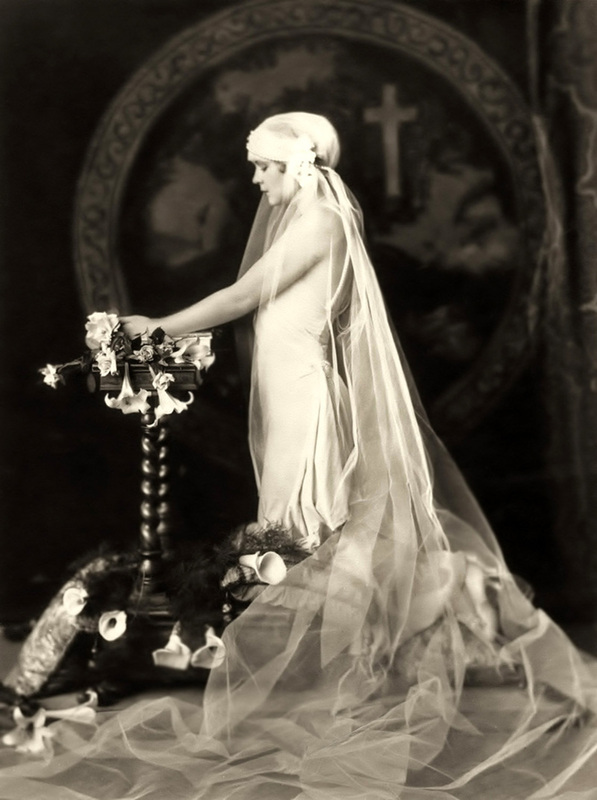 She was once compared to professional dancer and legend Isadora Duncan, which greatly enraged her, as she disliked Duncan. 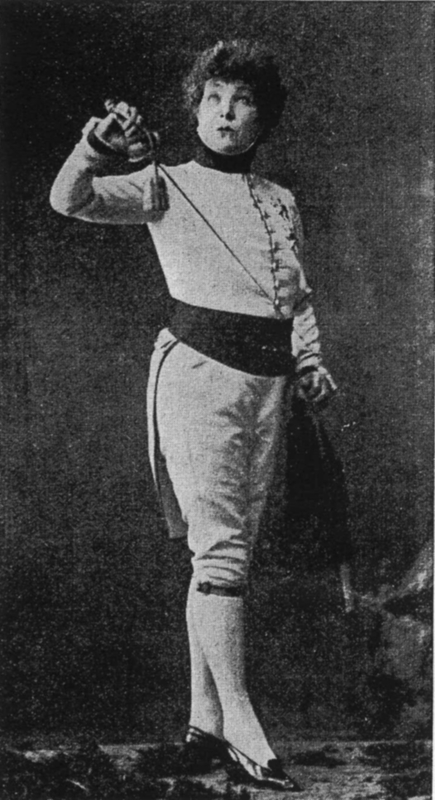 Around 1918 Allan’s popularity began to take a turn. In a hope of earning back some of her public adoration she starred in a private performance of the ‘Vision of Salome’ and irked homophobic right-wing nationalist MP Noel Pemberton Billing. 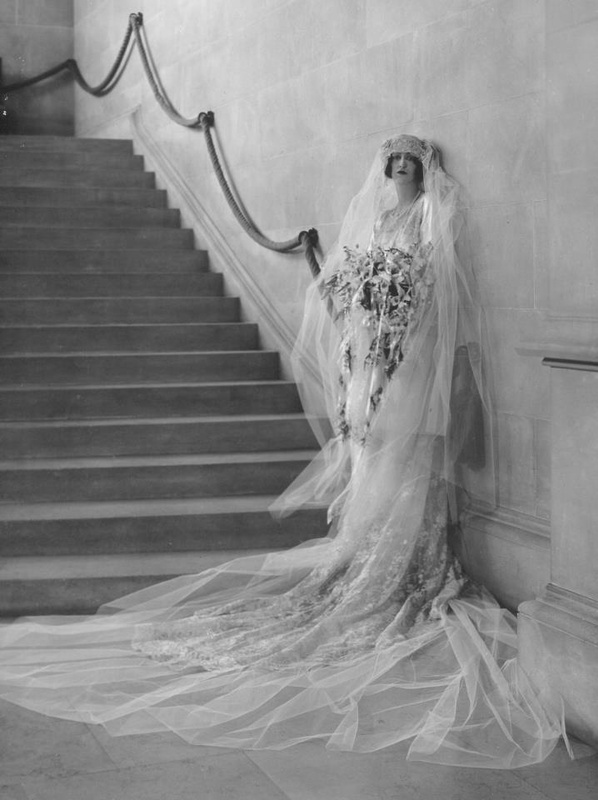 Mr Billing wanted Allan’s downfall as there was a rumor circulating that she had a lesbian affair with Margot Asquith, the wife of former prime minister Herbert Asquith. He believed that Allan and the Asquiths were all German spies; which he implied in an article. Allan sued Billing for criminal libel, but she lost the case. 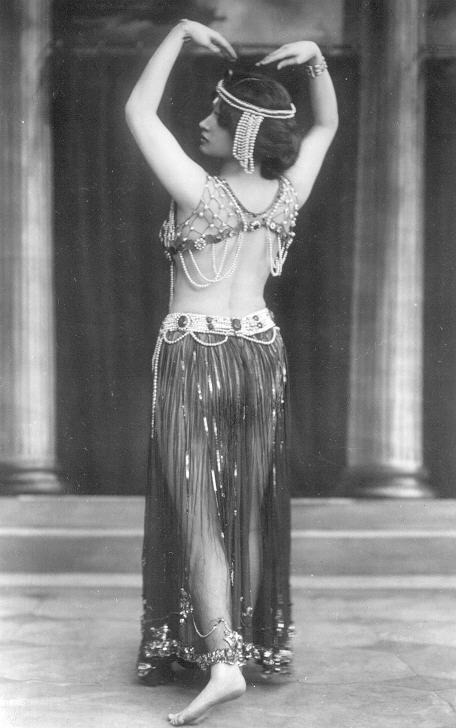 Hence, from the 1920s on Allan taught dance and she lived with her secretary and lover, Verna Aldrich. 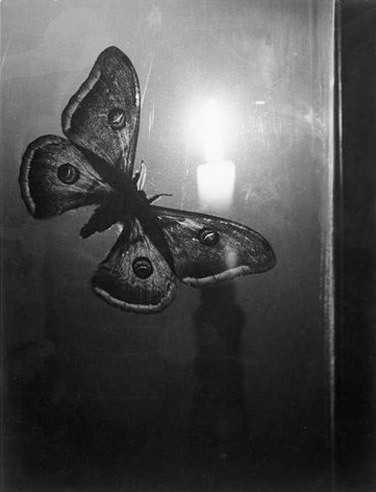 She died in Los Angeles, California.